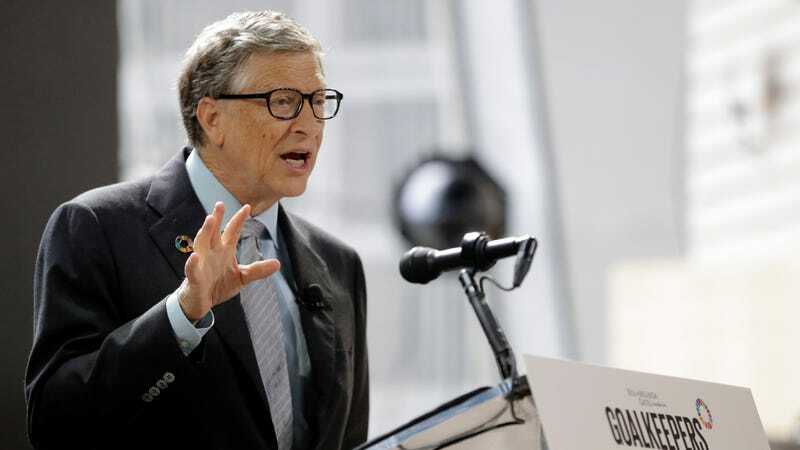 Microsoft co-founder Bill Gates, whose recent takes have included that Apple should just build a backdoor into the iPhone because the government might demand it anyway, is now warning that cryptocurrency is killing people. Gates is far from objectively wrong here—the crypto space is chock full of outright thieving and pump-and-dump schemes, while authorities claim criminals the world over hide billions in profits in various coins. Hard cash is technically vaguely anonymous in the sense that it circulates freely without being tracked all the time, but it’s a lot harder to transfer secretly than crypto. (You have to carry cash, which is probably hard on the glutes, or route it through state-monitored financial institutions.) New varieties of token that are taking off in the wake of Bitcoin also seem to have conveniently crime-friendly features (hmm) like even greater anonymity and hidden transaction histories. Yet that transition has been driven in part because Bitcoin is too hot for criminals, and also in part because authorities are starting to get a lot better at tracking down and busting criminals who try to anonymize themselves with crypto. There’s the fact that some of the crimes to which Gates alluded, like drug dealing and terrorism, have an irreplaceable physical element. If you’re a drug dealer or a terrorist, at some point you’re going to have to lug actual drugs or guns or bombs around, and payment or funding is only one part of the equation as to how the police can track you down. Authorities can also suppress illicit crypto activity by going after the hard points where the blockchain by necessity meets IRL, like exchanges where tokens can turn into cash, and appear to already be doing so. In most rich countries, crime is falling dramatically, perhaps in part because the authorities are better capable of using technology to fight crime than criminals are to increase it. Problems like the opioid crisis also are much more deeply rooted than whatever payment mechanism is used, you know? So, again, Gates isn’t wrong, but in lieu of the collapse of organized government and a descent into a dystopian cyberpunk universe, it’s pretty hard to determine what impact crypto is actually having on the public’s safety. For what it’s worth, there are plenty of reasons to be somewhat skeptical about cryptocurrency that have nothing to do with money laundering or terrorism, like its Tulip mania-esque boom and bust cycle that increasingly hints at destabilizing the real economy, or how a non-negligible portion of the market is built on people legally exploiting dopes who think they can ride price surges to easy riches.